On Sunday Britain marked the formal occasion of its “Remembrance Day” (which is really on the 11th), something much similar to our memorial day. 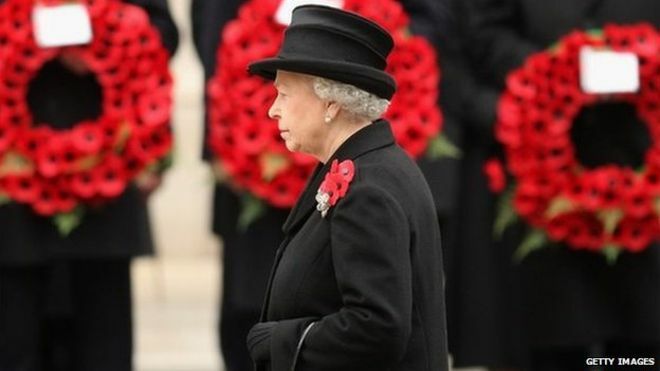 It’s observance here in Britain is one of deep feeling, with ubiquitous wearing of the red poppy in support of its veterans and the price paid by war. It was also a time for reflection of both the sacrifices of this nation and of its role in the world at large. The latter is still a matter of major debate now. In London and in the continent, these next weeks will reveal much that is at the heart of Europe’s ills and divisions. There is little doubt that Europe is not on a strong trajectory of upward prosperity for all its citizens, as it is bitterly divided on how to deal with its massive immigration crisis that looms larger and larger without resolution. And now in Europe, there is also a whole host of issues and threats that endanger the security, prosperity, and moral standing of Europe. There are growing challenges on many issues and within key national countries that could undermine the unity of the EU and EURO ZONE and impact the wider Atlantic cooperation. On the security front, there remains the future of the embattled Ukraine, the aggressiveness of Putin’s Russia and related applications of sanctions for its invasion of Eastern Ukraine and illegal annexation of the Crimea, along with it soon facing the responsibilities for the downing of a Malaysian civilian airliner. There are also divisions within the EU and NATO on how to deal with Syria and Iraq and especially the threat of ISIS. Britain at the same time is debating the future of the Trident nuclear sub deterrent force with the Labour Party divided on this issue. The current disruptive landscape in Europe includes anti-immigration views, rise of bigotry, fascists, and racist sentiments and parties that are rising up and include in their agendas the breakup of the EU. There are also polls showing increasing views of European citizens who are discontented with how the EU does not seem to care about them. The EU, and especially Germany, has exacerbated high level of discontent by their imperial and punishing austerity policies on Greece, Spain, Italy, and Portugal. Another divisive issue is how to deal with climate change and how far to commit to specific and significant reductions in greenhouse gasses. Later this month in Paris the key UN meeting on this will start and is likely to be very difficult due to the division between the developed and developing world. Already the UK is suffering from too little installed electric power, still relies on some dirty coal plants, and in other EU countries a bulk of power comes from this dirty source. For the UK under Cameron, the Tories have delayed the investment in less polluting gas turbine and solar by simply not increase government spending in order to show less national deficit. Major decisions on these issues will or could be made at meetings being held in Europe and elsewhere this and next week or beyond and in actions taken by individual governments. In the future there will always be largely unknown external forces or actions by the likes of ISIS, Russia, and global events which can influence the future of Europe. For America, let us be clear, these trends matter as without an outward, engaged and strong EU, little can be accomplished on many levels in making our globe safer, more just, and prosperous. More here on these issues in the coming days and weeks from London. We welcome your comments below!